December 2014 - It's On... for the 27th year! 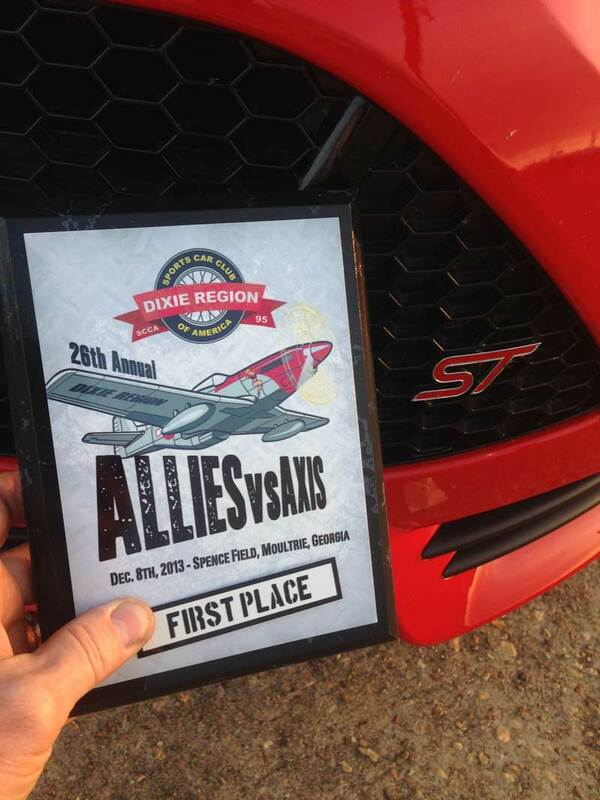 The annual Allies vs. Axis Solo will be held at South Georgia Motorsports Park on December 7, 2014. Be a part of this historic and infamous Solo commemoration of Pearl Harbor Day, where Allied American and British car models do battle against the Axis Japanese and German brands. The event is run and scored like a normal Solo event with the additional twist of the overall Allies vs. Axis competition. Come early to see the Japanese sneak attack at 7:53AM. The normal Solo event schedule begins after that. Award for Crappiest Run by popular vote. This is the one Solo you don’t want to miss. Register Online and please bring a package of toilet paper on the day of the Axis vs. Allies event for a donation to Dixie’s annual charity fundraiser, the Tallahassee Homeless Shelter. September 2014 – A big thank you to everyone who attended the Dixie Region 2014 Solo Novice Driver School held on Saturday September 27th at Spence Field in Moultrie, GA. Sixteen novice drivers attended the school with a terrific 2:1 driver to instructor ratio. A short drivers meeting and course instruction started the day with plenty of time to practice with or without an instructor. Lunch was provided then a shorter course in the afternoon to reduce the wait time in grid. Dixie plans to hold another school in 2015 around the same time of the year. No worries if you missed the Novice School this year, Dixie Region has a Novice Class at all local Solo events and holds a Novice Walk Thru the course prior to the driver meeting. An instructor or two is usually roaming grid to ride along with anyone looking for some tips or help from a Dixie veteran. Dixie Region prides itself on going out of its way to welcome newcomers and participate in the fun at Solo events. Many thanks to all the instructor volunteers and the Novice class attendees. 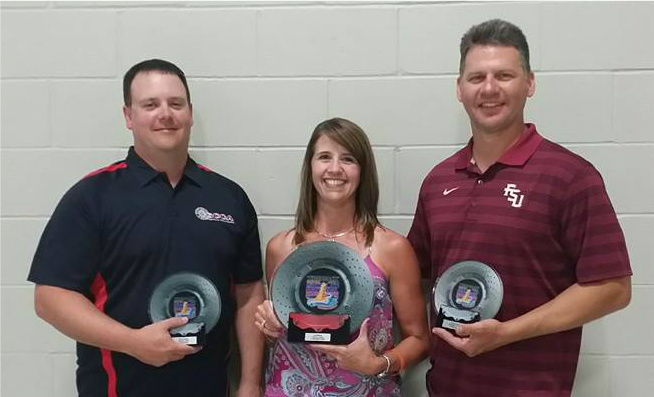 September 2014 – Congratulations to Tracy Lewis who brought home the CPL class National Championship from Lincoln, Nebraska in the Lewis Racing Sledgehammer Mustang. Several other Dixie Region members attended the Championship event. Robert Lewis and Russ Clark also picked up trophies in the CP class. 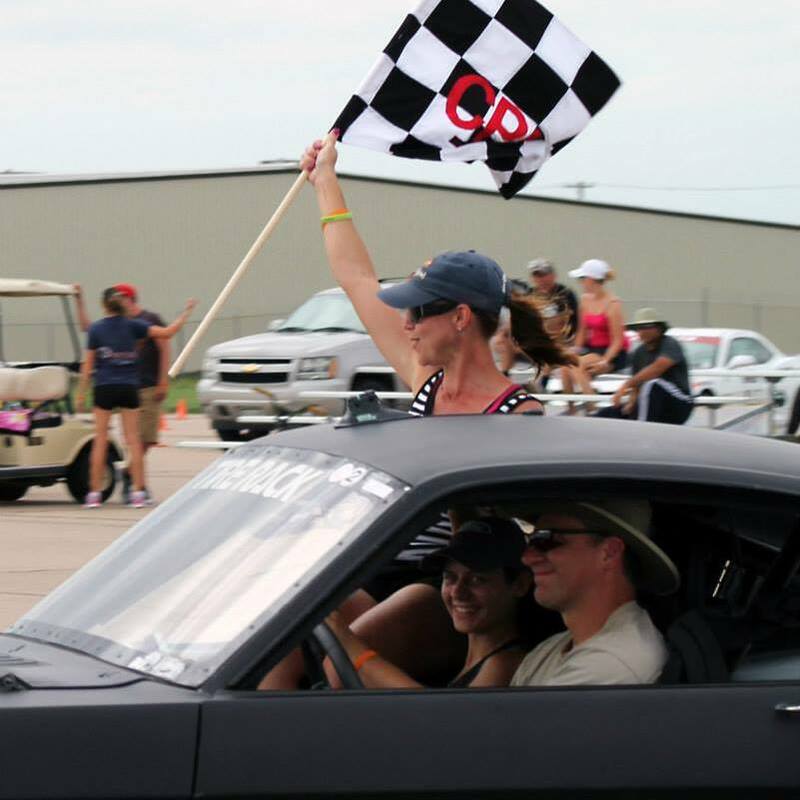 September 2014: The Sports Car Club of America Solo events (aka autocross) is one of the most popular grassroots motorsports participation events in the country. If you are a newcomer to SCCA Solo or want to try Solo for the first time, then the Dixie Solo Novice Driving School is for you. Payment includes Saturday Solo Novice School, lunch on Saturday, and entry fee for Sunday Sept 28th Solo event. Limited to a maximum of twenty (20) students. So Dixie Region can cover its costs, cancellations and refunds are subject to approval and contingent on filling your reservation with another paid student. Best of the Dixie Region seasoned instructors. Friendly and fun atmosphere. Low student to instructor ratio. Lunch included on Saturday. Must provide own vehicle that passes SCCA sanctioned tech inspection at check in on Saturday (click here for more info on vehicle tech). Must be 18 years or older with valid driver’s license. Drivers under 18 require written parental consent at event. Drivers with learners permit are welcome with written parental consent at event. Loaner helmets available for use at no charge. 10AM School begins. Introduction, short class session, course element walk through, driving sessions with instructor. Sessions include course walking, course visualization, proper lines, start, slalom, car placement, braking, threshold braking, throttle control and application, 180 degree turns, and more. Post questions on FaceBook or contact Rob 850-591-0856. 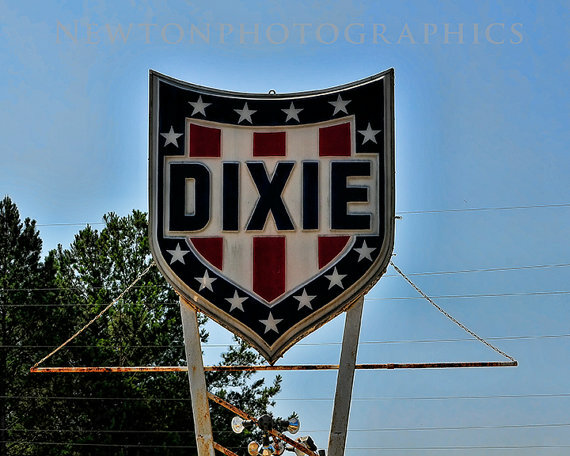 CLICK HERE for Dixie Championship Tour results. March 14-16, 2014. Kick your Solo season off with the warmth of the South Georgia sun and the hospitality of the Dixie Region as the Tire Rack SCCA Championship Tour gets started once again at South Georgia Motorsports Park. The Dixie tour is always a capacity crowd as Soloist from above and below the Mason Dixon shake off the winter and shake down new set ups as they start their Road to Lincoln. The lot at South Georgia Motorsports Park is long and narrow, so courses tend to follow a runway pattern of fast transitions and off sets and a big turn around at the end. Be sure to arrive early enough to take advantage of the practice course and plan to stay for Friday’s welcome party featuring some of the finest grill work in the south. Evolution Performance Driving School is holding a class on Friday from 9am – Noon. 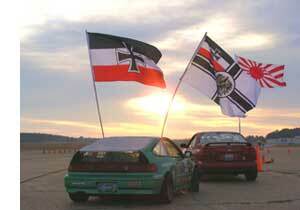 SCCA SoloMatters posted a video showcasing a Dixie Tour at SGMP a few years ago to provide a flavor of what to expect. 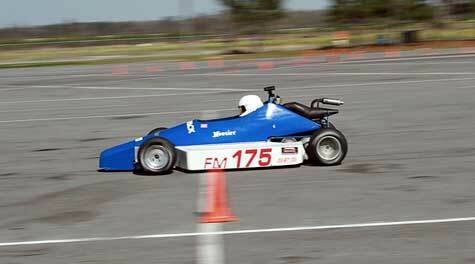 Visit the SCCA website for Dixie Tour event details, schedule, registration, a link to listen live, and results. March 15-17, 2013 – The first Tire Rack sponsored 2013 SCCA Match Tour was hosted by the Dixie Region. Read about this match tour and the format at SCCA event news http://www.scca.com/events/news.cfm?eid=5452&cid=51357 . 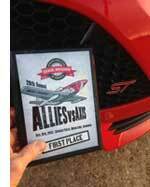 Results are posted at http://www.scca.com/events/results.cfm?eid=5452 . If you would like to provide feedback to the SEB on this proposal, please do so at http://www.sebscca.com/. 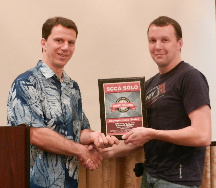 January 2014 - Class Champions for the 2013 Dixie Solo season were announced at the January 11th awards banquet. 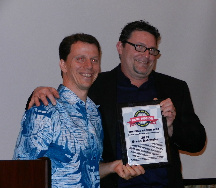 Top honor of 2013 Driver of the Year goes to Kenneth Batten (pictured below left) for winning the most points during the 2013 season in the STR Class. The Member of the Year was awarded to Bryan Batchelor (pictured above right) for his dedication and tremendous volunteer work for the club. 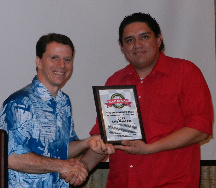 The Worker of the Year went to Arty Gallegos (pictured at right with Chris Yearwood, RE) for his extraordinary contributions to Dixie Region. There were plenty of now infamous gag awards handed out as well. Many thanks to Steve Seymore for coordinating the annual banquet, and to his wife, Deborah, for the room arrangements at Sittig Hall.